Paying homage to the old-world charm of its downtown shoppes, and despite the recent turmoil brought upon the shore by Hurricane Sandy, the Borough of Spring Lake announced plans to kick off its holiday celebrations in conjunction with American Express’ Small Business Saturday. The day will mark the beginning of town-wide holiday celebrations in Spring Lake, and raise awareness for the small businesses that continue to contribute to the year-round allure of the historic Jersey Shore town. Founded in 2008, Small Business Saturday is a call to action to support the small businesses that help weave the fabric of America. In the aftermath of Sandy, the businesses in Spring Lake could not think of a more fitting call to action to support the region’s small businesses and retailers. To celebrate the cause, Spring Lake’s boutique shoppes will don storefronts filled with festive holiday decor, offer personalized service and unique customer care, and boast a warm welcome to the holiday season ahead. For more information about Small Business Saturday or the holiday celebrations happening throughout Spring Lake, please visit www.VisitSpringLake.com. The Spring Lake Business Improvement District (SLBID) works towards the continued promotion of the town’s renowned shopping district, encouraging the involvement of all Spring Lake property and business owners. Boasting world-renowned boutiques, one-of-a-kind galleries, an array of dining locales, charming bed and breakfasts, quaint, tree-lined streets and more, the captivating “Jewel of the New Jersey Shore” offers a little something for everyone. 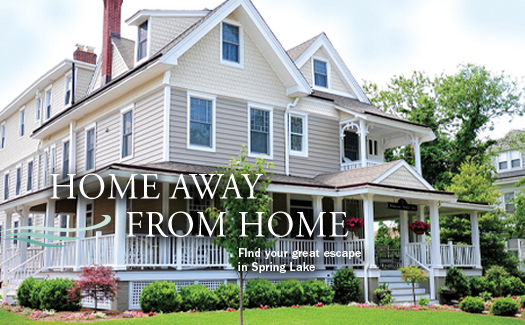 To learn more about Spring Lake, please visit www.visitspringlake.com or call 732-449-0037.